Researchers from the Universities of York, Macquarie and Oxford have discovered new evidence to suggest that the origins of mummification started in ancient Egypt more than 6,000 years ago. According to the researchers who studied embalming substances found in mummification wrappings dated to Late Neolithic and the pre-dynastic periods, mummification began as early as 4500 B.C. Over the years, archaeologists have found mummified remains of kings, members of the royal families, high Egyptian officials, and animals whom the Egyptian considered sacred. 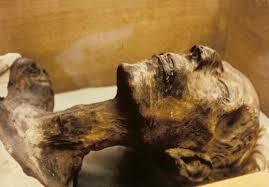 The reason the ancient Egyptians mummified humans and animals is because of their strong belief in life after death. Egyptians believed that their bodies would survive after death and mummification was a way of preparing for the afterlife. This entry was posted in Archaeology, Egypt and tagged Archaeology, Egypt, Mummies, Mummification. Bookmark the permalink.